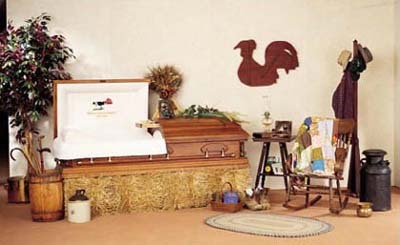 A funeral service shouldn't just conform to tradition and "what my families always done . . .", but it should reflect your wants and needs. It should reflect the life of the deceased and it should provide healing to those left to deal with the loss. Every family and every situation is different. We believe in giving you what you want, and are open to any idea, now matter how different you may think it is. After eighty years in the business, we welcome a surprise. The funeral ritual itself is comprised of many elements. These different elements are organized to give each person touched by the loss a time to grieve, reflect and begin to heal. can be held in a place of worship or in the chapel of the funeral home. Symbol of mutual support; public honoring of the death. Family and friends gather at the resting place to offer their final private thoughts to the loved one . Allows for the beginning of the transition to life after death. Choosing the method to care for your loved one after death is a personal decision, and in some cases, a religious or cultural one. Whatever your preference, we encourage you to consider including each of the elements in the funeral ritual as they are an integral part of the healing process from moving from life before death to life after death. Friends and family are invited to visit the funeral home to pay their respects to the deceased and offer condolences to the family. Visitation provides time for sharing and remembrance and is followed by a funeral ceremony at a place of worship or in our chapel. Following the funeral ceremony, the deceased is transported to the cemetery where he/she is placed in their final resting place. 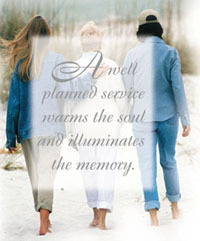 Visitation provides time for sharing and remembrance and is followed by a funeral ceremony at the cemetery. Following the funeral ceremony, the deceased is placed in their final resting place. A graveside service can also be arranged without visitation. Family and friends are invited to a ceremony for sharing and remembrance of the deceased at a time either before or after the deceased has been placed in their final resting place. 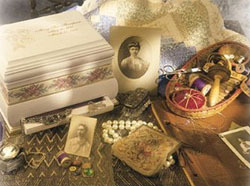 Free from the presence of a casket, a chapel or an alternative site can be arranged with photographs and personal items from the home. Following the funeral ceremony, the deceased is transported to the crematory for cremation. Following the cremation, arrangements are made with the family for the return of cremated remains and a committal service where the deceased is placed in their final resting place. A chapel or alternative site can be arranged with photographs and items from the home. If you would like to learn more about our funeral service packages, please contact us at info@brownsfuneralhome.com.